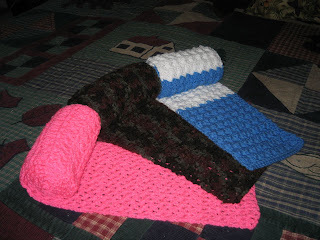 Here are 3 more scarves that I made for the challenge. The blue and white one will go to the Special Olympics as that is the colors they have requested. I will be making more of then with those colors. I really have nothing else to say except that I am excited about teaching the lady I met last night how to crochet. I hope she calls me. the scarves look great, You sure are fast. I am waiting on some yarn for the Special Olympic scarves. A friend is sending me some tomorrow. so that I can join in, and I have a feeling that if things turn out to be wrong with William, that the Special Olympics may be very dear to my heart. I love that pink it is so luscious looking. Makes me want to eat some cotton candy. And that middle one looks like camouflage but I know it is a Vanna Color. And I love the combination of the Special Olympics colors of Delft Blue and White. Great work Sis. I want to join the scarf challenge, but can't find it. I see the really cool 07 button which goes to a aol journal, but it doesn't look like I can make a comment to join there? Then I see the green participant 08 button, but it's not a link when I click on it I see the picture for the button only. I'mm working on my 3rd red scarf for that project, hoping next one up in the special olympics one. Love your pretty pink one...where are you sending that one? 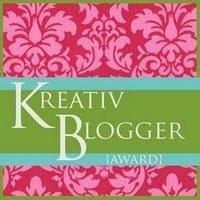 You are my first award winner for the "I Love Your Blog" award. 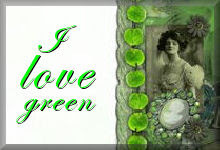 Please see my blog and save your award button to post on your blog. All the rules are contained there. 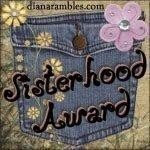 you have an award waiting for yu over on my blog.